In some of our local and franchised restaurants, entrée means starter or appetizer but in Ayam Penyet Ria, it is main course. Ayam Penyet is smashed chicken. I don’t know what they mean by smashed like running it over a car or something but what I tasted is crispy crunchy flavoursome skin with very very tender and juicy meat inside. I highly suspect the chicken to have been steamed or boiled very quickly in some spices as first part of the cooking process to achieve this delicate texture. I believe some southern fried chicken recipes also calls for parboiling before marination and deep-frying. 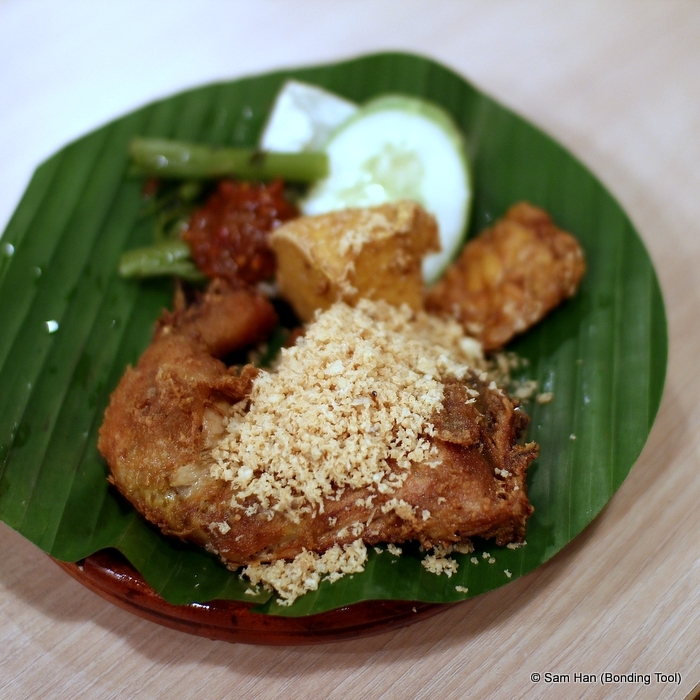 Ayam Penyet Ria – level 5, Far East Plaza Singapore. 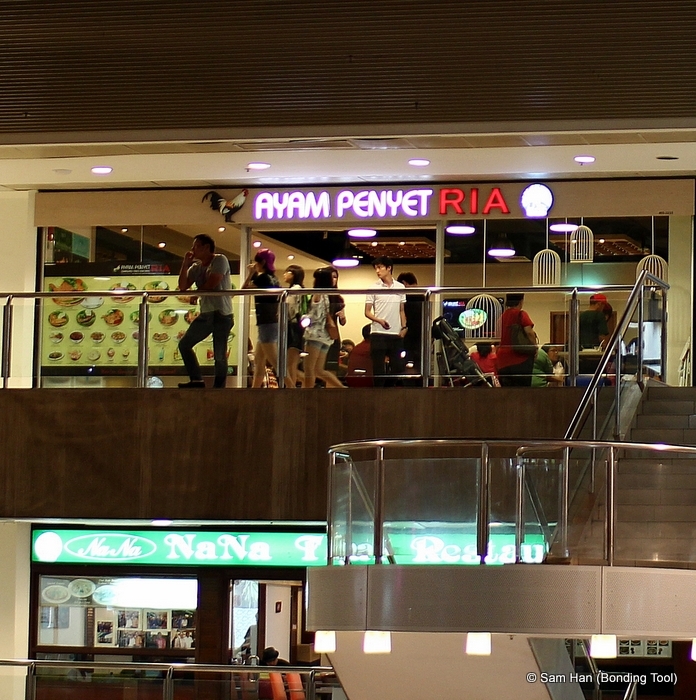 Ayam Penyet Ria Singapore has five outlets around the island. They offer authentic taste of Indonesia and a flair for fried foods. Most of their marinades and spices are imported from Indonesia. Keropok Udang (Prawn) & Emping (Melinjo). 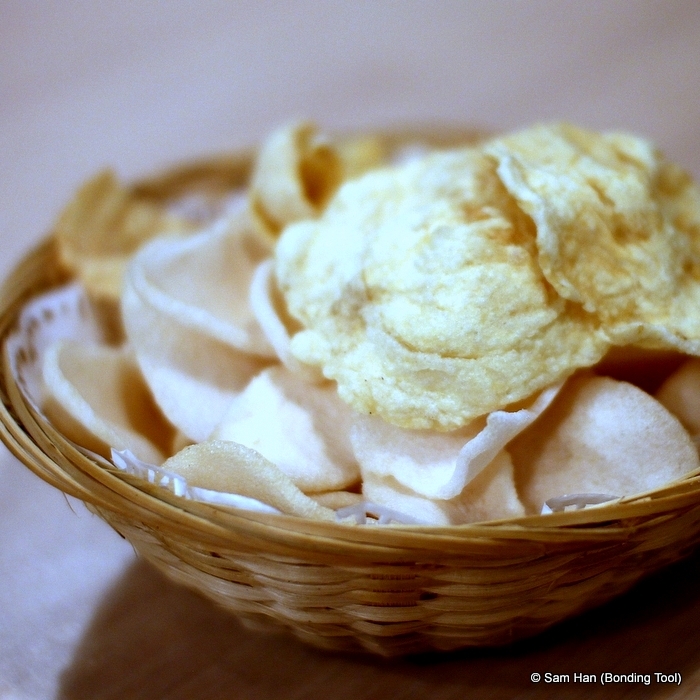 Keropok means cracker. Udang is prawn in bahasa Indonesian. Emping or Emping Melinjo is a popular Indonesian cracker made from seeds of Gnetum gnemon (paddy oats, melinjo, belinjo) and is slightly bitter in taste. I love eating them with the belachan chilli relish. Shiiiii….oK! 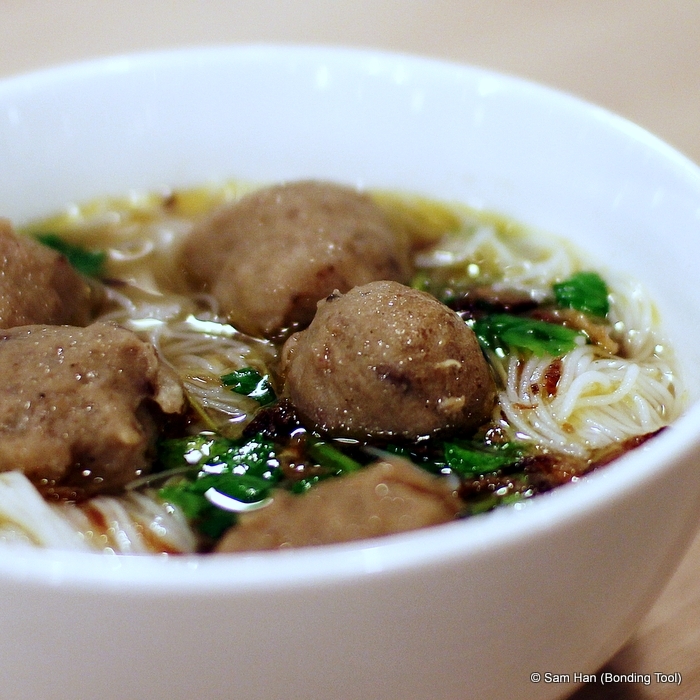 Bakso can be meat, fish, seafood or vegetable balls. 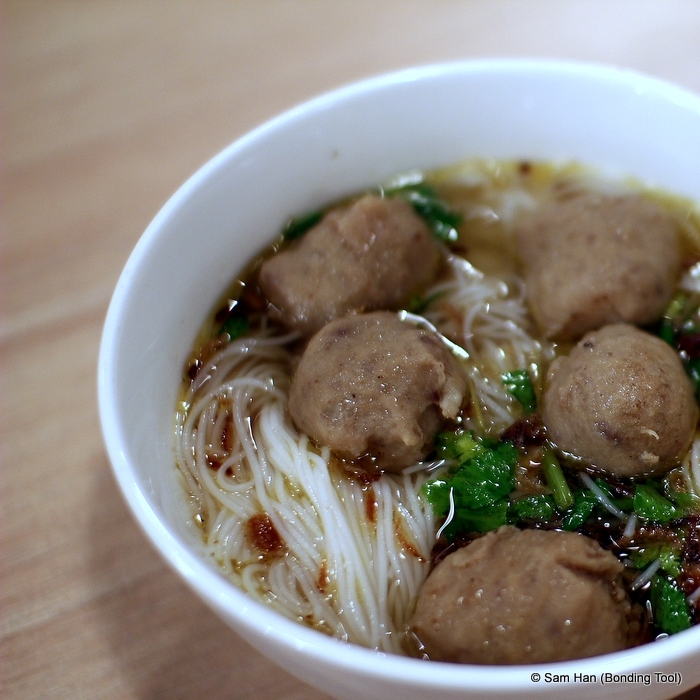 Here we have sapi (beef) bakso bihun (vermicelli) sop (soup). The bumbu (soup base) was well seasoned and tasty which led me to speculate msg? 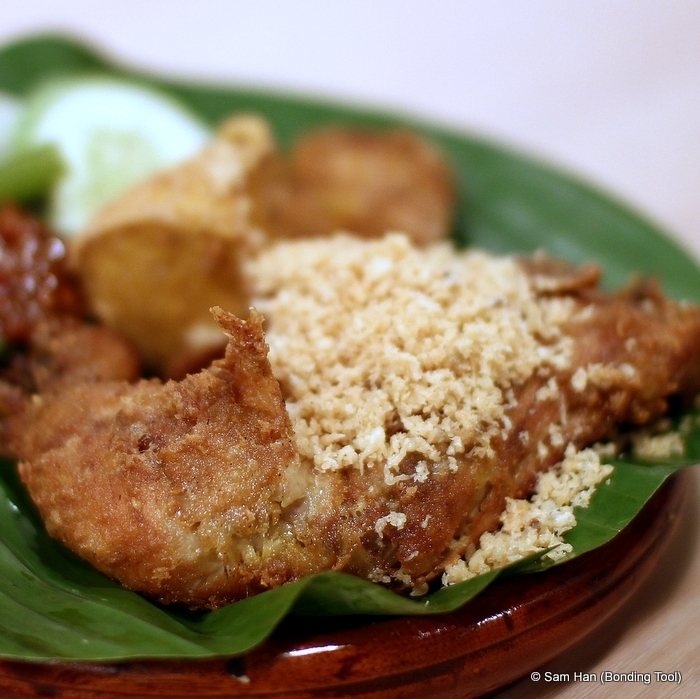 It is hard to be msg-free when it comes to Indonesian cuisine. The bakso was ordinary but a refreshing change as we do not usually have these in our local street or fine dining menu. Tauhu Telur – Tofu Egg. 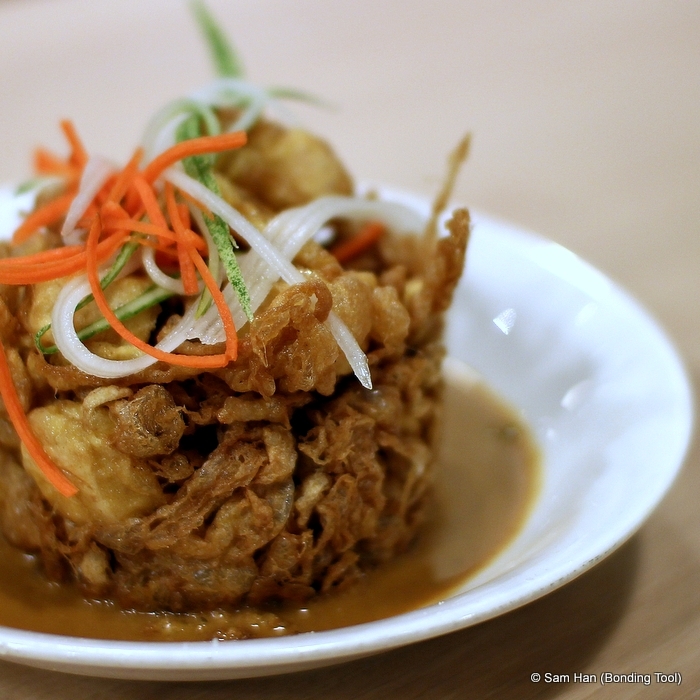 The peanut sauce for tauhu telur here is fragrant and the tetxture is almost like the peanut butter spread one would use on sandwich bread – thick and nutty. This dish tends to produce a oily mouthfeel but surprising this was not the case here. I must salute the chef for his/her skill in “fire” control which is rather critical especially when you want to finished product to be crispy and non-greasy. The star entrée, Ayam Penyet, comes with assorted vegetables topped with belachan chilli relish, deep-fried taukwa (firm tofu), deep-fried tempeh (fermented soybean cake) and deep-fried chicken leg. All Ayam Penyet Ria’s entrées are served with fried taukwa (beancurd), fried tempeh (fermented soybeans), an assortment of vegetables topped with a delicious spicy belachan chilli relish. Overall, I like the place for their cleanliness. The crowd turnover is good and the staff were very efficient and methodical in their serving and clearing process. There were six of us, my children and their friends, and our bill came to less than SGD80 including drinks. It’s been 6 hours since and I’m not suffering any msg symptom so this is a place I would return to try their smashed squid, smashed promfet and soto ayam soup with some icy dessert perhaps.